What a lot of brands do on Facebook is brand the living crap out of their posts. 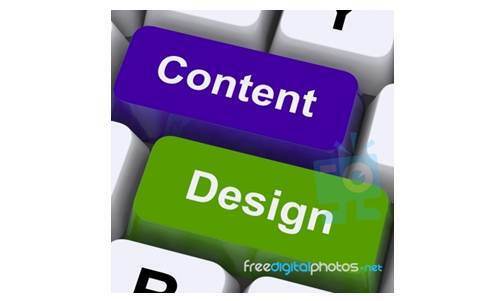 If you want to be seen as a content creator, display your content. 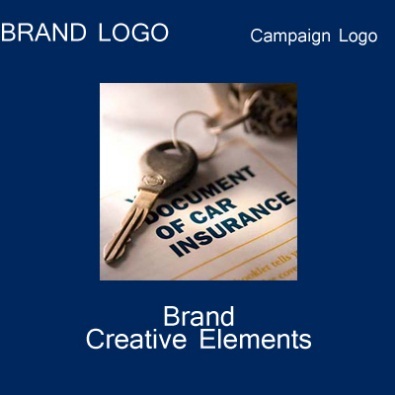 Don’t overshadow it in a cesspool of logos, backgrounds and calls to action. Over-branding a Facebook Post makes it irrelevant to your target audience. 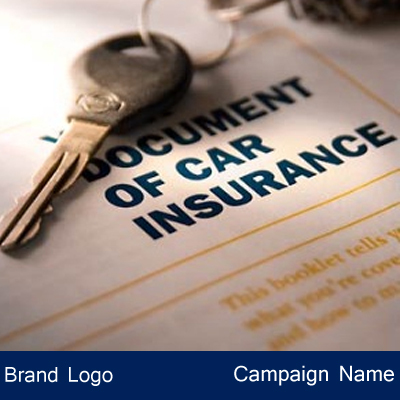 I don’t want to share a picture of a gaudy XYZ Car Insurance Facebook Promotion. Instead, I want to share a picture of a really beautiful pair of keys, which makes me think of that Porsche I’m going to buy in maybe a thousand years. Very few brands develop content that truly catches our eye. You do have the occasional page that offers a chuckle or two, but otherwise, fascist brand evangelism is something you as a Digital Marketer should avoid. 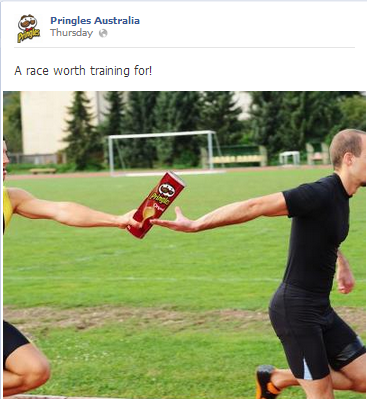 Pringles Australia does this phenomenally well; ‘LIKE’ if you agree. Of course, you do have to talk about your product, your brand’s promotions, its unique proposition and all, but Facebook and twitter are LIVE. People want to see topics and references that matter to them, here and now. 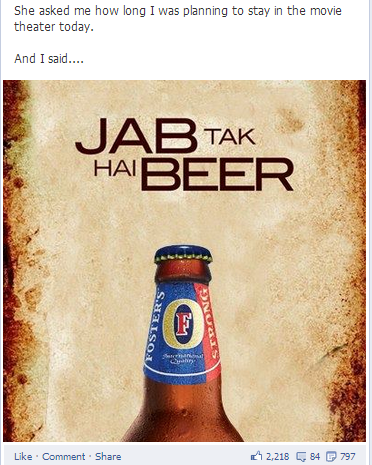 Here’s a great example of what Foster’s did when good old SRK’s movie just released. It’s fresh and on the news and hey, a little news jacking never hurt anybody, right? What works for an alcohol brand might not necessarily work for a hair care brand, so figure out why your fans like your page. 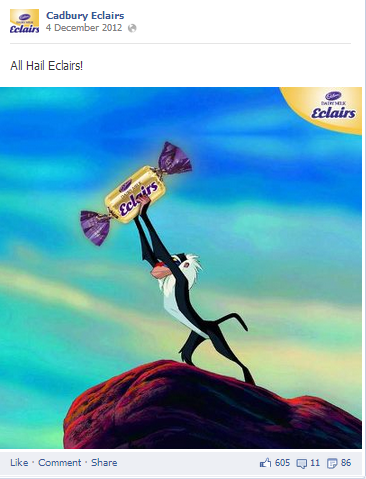 Does your brand manufacture items for impulse purchases like Cadbury Eclairs? On the other hand, fans of a Sports Franchise might appreciate a longer copy; they might look forward to learning something they don’t already know about their favourite team and players. 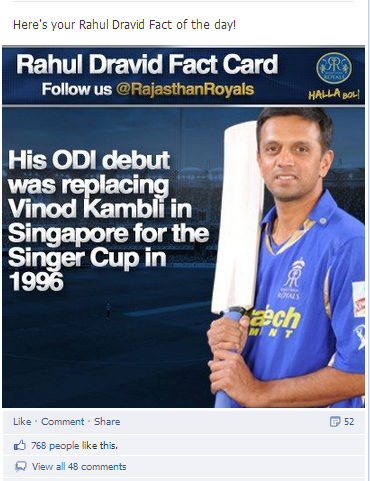 So, with the Rajasthan Royals for example, fans don’t seem to mind completely branded posts. Because after all, it’s the only team with Sreesanth. He’s awesome.